Decluttering your home or workspace can often seem overwhelming, but in truth it can be as peaceful as meditation, and can be a way to practice living mindfully and in the moment. Decluttering can be your zazen, as it is often mine. 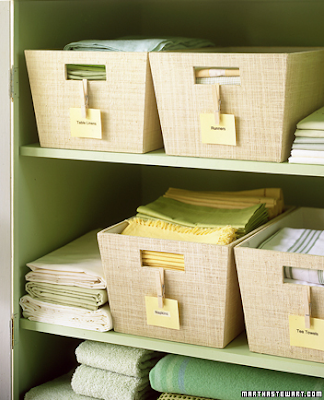 Letting go of clutter is a way to live more mindfully and in the present. Let’s talk about each of those things briefly. Btw, books are usually examples of one of these two reasons. We hold onto books we’ve already read, as trophies of our reading accomplishments. We hold onto books we might read in the future (but probably won’t), with the optimism that our future selves are going to be more amazing readers than we’ve ever been in the past. In truth, you only need three or four books — the ones you might read in the next month. Then after you’ve read those, donate those books to charity, and check out a few books from the library. So if clutter is holding onto the past, and fearing the future … how can we live in the present instead? I slowly get rid of clutter, and in doing so, I release my mind of these attachments and fears. It’s a liberating process. Clutter is the physical embodiment of these attachments and fears — emotional stuff that we don’t realize we have. By decluttering, we are clearing ourselves of these tangled webs. And when I’ve gotten rid of clutter, I’m freed. I can forget about those things, and live instead in this moment. I can fully appreciate life as it happens, instead of looking back on what has happened before, or looking forward to what might happen later. It’s of course possible to live in the moment even if you have clutter. There is no prerequisite to mindful living. But decluttering can be a beautiful process of helping ourselves let go of the things we don’t realize we’re holding on to. And so, as I declutter, not only am I freeing myself up to live in the present … I am living in the present during the process of decluttering. It’s a form of zazen — which is sitting meditation, but at its core zazen is really a way to practice being mindful. It’s a way to prepare us for dealing mindfully with the rest of the things we do in life. And really, anything can be used as a way to practice mindfulness. I’ve often used running and walking, but also washing dishes and sweeping. 1. Pick one cluttered flat surface. It can be a tabletop, countertop, shelf, the top of a dresser, floor of a closet, floor of a room (just a section of that floor to start with). Don’t worry about all the rest of your cluttered spaces for now — just pick this one space. Small is good. 2. Clear that surface. Take everything off and pile it on the floor or another table. Clean the surface while it’s clear — wipe it with a cloth, slowly and mindfully. 3. Take one object from the pile. Forget about the entire pile — just look at that one object. Ask yourself why you have it. Is it for emotional reasons, or do you really use it? Is it for “just in case”? When was the last time you used it? If you don’t really need or use it, put it in a box for donation or trash it. If you do really use it, put it in another pile to be put back on your now-clean surface. If you’re on the fence and can’t bear to give something up, put it in a “maybe” box and put that box away for six months (mark the date on your calendar). 4. Repeat, one object at a time. Practice doing this mindfully. Make a decision with each object — keep, donate, or maybe box. No waffling or putting off decisions. Deal with each object once, then move on. 5.Put the objects back, and make a “home” for each one. Each object needs to have a spot that is its home, and you should always put those objects back in their homes. If you can’t find a home for an object, you don’t have space for it. Donate the items in the donation box, and put away the maybe box. Eventually you won’t need a maybe box as you get good at this. Learn to focus on one thing at a time, mindfully, and deal with each object once. This is a good practice for doing things in the rest of your life. Next post: Organized Fun in The Sun!